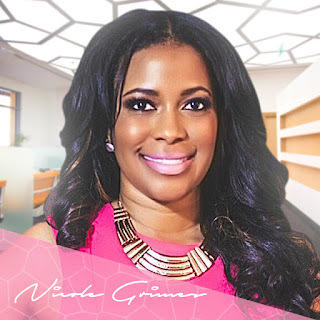 Corporate/Career Strategist, Nicole Grimes, M.Ed. is an advocate for empowerment, education, image development, and strengths-based coaching, with a passion for leading others to their purpose-driven lifestyle. A native of Louisiana, Nicole is currently employed as a Special Education Supervisor and is a doctoral candidate in Educational Leadership. Q1. What were some obstacles that you faced in the beginning process of starting your business or career? Q2. What inspired you to break into your particular industry? A2: I was inspired to break into this industry, over time, through multiple experiences in my life, and through the encouragement of those close to me. Over the years, I have assisted many people with supporting their career goals, personal image development, and maximizing their strengths/talents to create their best selves through coaching. After much prayer, encouragement, and much planning, I took the steps necessary to make my vision a reality. Q3. How do you balance your personal and professional life or have you been able to find a balance? A3: I balance my personal and professional life through time management, prayer, exercise, strategic scheduling, and goal setting. Another key to creating balance is open communication to ensure understanding, commitment, and to further develop trust. When individuals, especially those close to you, truly understand your journey, it makes it much easier to support the process. We often forget that we cannot do THIS alone. Q4: What is an inspirational quote that you live by? A4: One of my most inspirational quote is from Jeremiah 29:11 (NLT), “For I know the plans I have for you,” says the Lord. “They are plans for good and not for disaster, to give you a future and a hope. Q5. Who were some influential people or mentors that helped or encouraged you along the way? A5: My dad for his focus and wisdom. Over the years I have seen him serve others as a premier educational leader, now a pastor, and own multiple businesses. My brother and sister-in-law also have really been encouraging and supportive. They too have professional careers, and own multiple businesses. Additionally, I have a very tight-knit group of friends that encourage me daily. They are also brutally honest with me which helps me to remain focused. There’s no better feeling than knowing you have true supporters in your corner. Q6. What are your "must-haves" to keep your career or business going strong? A6: My “must-haves” to keep my career and business going include my Bible, my computer and smart devices, a written plan, my business coach, personal mentors, a close circle of family/friends, and a great network to support my vision and execution. Q7: What is your definition of a BOSS? A7: My definition of a BOSS is someone who is a leader through influence, service, and the ability to produce results in their particular field. This person is a trendsetter, an innovator, an influencer, and has fought against the odds to manifest his/her vision. A BOSS is someone that is a risk-taker, and lives a life of purpose through serving others. Q8: Provide us with two words that describe you? Ex. "Success Coach" "Beauty Expert."